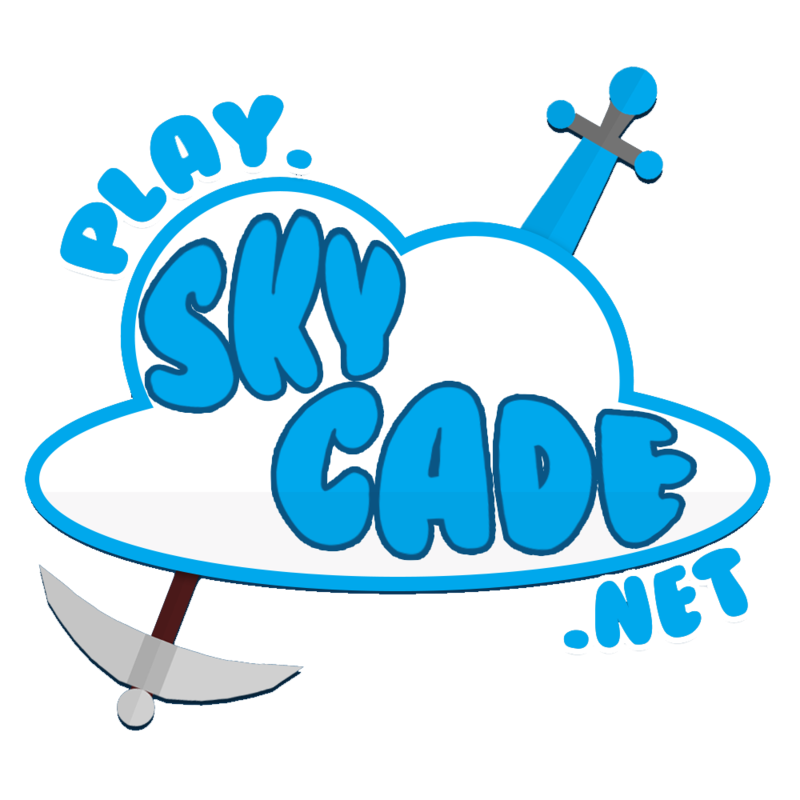 Welcome to Skycade’s Skyblock! This is a guide which will help you get a smooth start and understand some of our custom mechanics and plugins. If you want a brief introduction to Skyblock just use /warp tutorial but this thread goes into lots more detail! To start an island use the command /is, you will have to choose between different types of islands: Easy, medium and hard. The difference between these 3 are the size of them, easy being the one with the most resources to start. All players’ islands have a build limit of 100x100x256. There are different aesthetics of islands, such as Hell, Cube, Turtle and Fishbowl. - Fear not if you messed up your lava and it turned into obsidian! Right click the obsidian with your empty bucket and it will turn into lava. - Break down the tree on your island and make sure to pick up the saplings and apples that dropped (they don’t always drop!). Once you have a sapling you should start a tree farm, to get infinite wood. - If your water freezes, it means you spawned in a cold biome, to fix that, do /is biomes and select plains. - You can sell what you farm and buy more things at the shop NPC, use /warp shop to teleport there. Use /is to return to your island! At warp shop you can buy lots of useful things including mob spawners. To give you more to do on your Skyblock island you have access to challenges which will allow you to complete them and earn small rewards. To access your challenges type /challenges. When completing these challenges, you will be give items to help you grow your island, such as spawn eggs. To complete a challenge just click the one you want to complete in the GUI you opened using /challenges. A leaderboard a lot of people care about is /is top - this shows the value of players islands, the more valuable an island the higher on the leaderboard the player is. The value of an island is determined by which blocks and how many of them are placed within the boundaries of that players island, and the blocks gathered in the mining world (see below) are worth a lot more than normal blocks! To check on your island value, simply do /is level and the number will show up in green next to your name in chat. The mining world is a little island of your own that you can pay to access, here you can find valuable ores from iron and gold to diamond and emerald. Each time you return to the mining world it will reset and you'll get a fresh new set of ores to mine! Look for the Quarry NPC at /spawn. If you right click the NPC you will be shown 3 options, each costing different prices. The higher the price the more valuable the ores you'll get and more frequently they'll spawn. Mobs will spawn in the mining world but do not fear, you will not take any fall or mob damage, you are invincible there. If by any chance you get kicked to the hub, lag out or the server restarts when you still have time left on your trip, just do /mining back and you will be teleported back to where you were in the mining world with your remaining time. Doing /ah will open the auction house. The auction house is different to the shop, here players can sell items of their own for a price of their choosing for other players to buy. To sell an item, hold it and do /ah sell (price). To buy an item you would like simply click it and press confirm, if you have enough money the item will automatically go into your inventory and your money will be taken. To use a spawner on your island, you need to unlock it first by purchasing the upgrade on /spawner. The first upgrade is free to use, allowing you access to use the cow spawners. You need to upgrade one spawner type at a time, you can't skip to a high tier spawner. Spawners are a great way of earning money if you build a farm you can AFK at. The outback is a new feature introduced this season, it is a part of arena access it via /warp arena. It gives you ores to mine, those will give you outback coins (you are not meant to get the ores in your inventory) that you will be able to use in /oshop to buy unique items like an autosell chest, custom enchants, a beacon, and enderportal frames! It is one of the most useful things to make money at all time. Link this chest to one of your farm and every item that goes into it, will be sold. Be careful though, PVP is enabled! Printer is also a new skyblock feature. To start it, empty your inventory and take off your armor and run /printer start. It will put you into creative mode and will let you place all the block available at /warp shop. You will be, of course, charged for every item you place and the price depends on how much they cost at /warp shop. It is quite useful as you don't have to go back and forth to shop to fill your inventory when you are printing big builds. You can use it with Schematica too! /Enchants is the easiest way to get enchanted books, once you have reached 60 XP levels, just click on the book on the enchanting table and you will get a random enchanted book, wether it's a vanilla enchant or a custom one. /Enchants also lets you know what all the custom enchants do, just hover over the book and read the description. To enchant an item with a book, simply drag and drop it on the item. /is set spawn set your island’s spawn upon doing /is. /is listcoops shows you the cooped players, if no players are cooped it will tell you ‘unknown command’. How often does Skyblock reset? Seasons are usually 4-6 months long. Am I allowed to TP trap in the arena? No, TP trapping is not allowed on both Skyblock servers. Can I fly on my island? Be sure to read the rules before starting your Skyblock adventure! Thanks to @Joostagram for helping out with the guide!